Armbands, clip-ons, and smartphones all help you track each and every step you take these days. But what if this wearable could help you take those same steps, in the right direction? We know our generation (X, Y, Z – who knows?) may have a slight problem with smartphone addiction. We’ve all watched this video on the effects of smartphone and smart device addiction. Well, with this pair of slip-on haptic sneakers, the young man in the video would be able to find his way to wherever he has to be, plus say hi to the girl passing by. 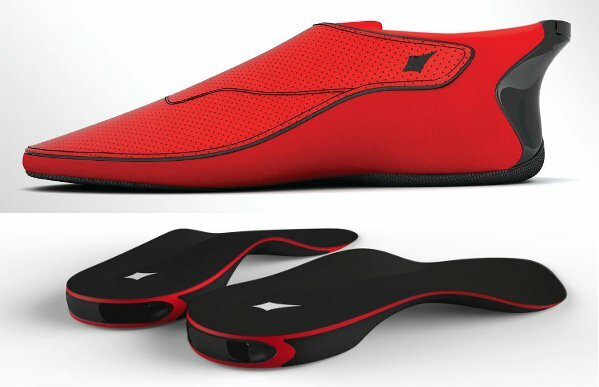 Lechal (lay-ch-al), a pair of Bluetooth-enabled sneakers, uses technology similar to that of MIT’s SuperShoes insoles to make sure you’ll never get lost again. Using your smartphone, connect the shoes via their app, key in your destination. From there, just follow the yellow brick road the tickles in your feet. Right foot tickles, turn right. Left foot tickles, turn left. No tickles, keep walking straight. All you have to do is relax and wait for your shoes to vibrate beneath your feet. Gone are the days of staring at your iPhone or – God forbid – a map, only to look up as you suddenly walk into a lamp post. No worries on the forgotten-phone front either; Lechal alerts you if your phone is not in close proximity. Maybe we’d only have to worry about getting tickled so hard we fall over laughing in the middle of the street. Don’t like the way Lechal looks or feels? 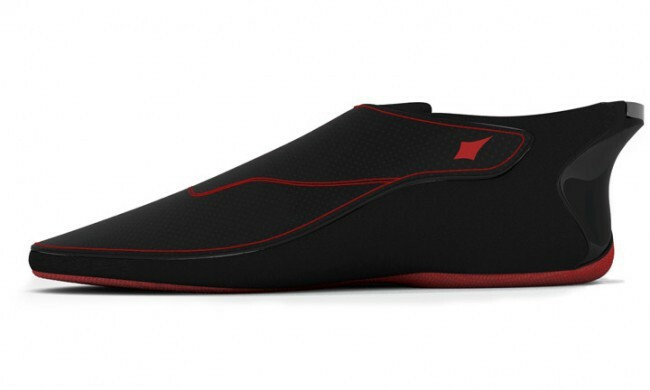 The company also offers insoles with the same function. Slip them into your favourite pair of old sneakers and get to wandering! Having these will certainly keep us from bumbling around a foreign city looking every bit the tourist or holding your phone out while you walk. It might even inspire you to take the path less travelled – but safely guided – because you know you’ll always be able to find your way home. The company is also looking to make Lechal an aid for the visually impaired – a great step in a noble direction. Also read: This App Lets You Share What Underwear You’re Wearing!